Yesterday, a fraction of our electorate trudged pollwards and cast its ballot for familiar names, people it'd heard of somewhere before. In Champaign County's Republican primary, that meant Rick Winkel (not-running) beat Stephanie Holderfield (running) for Circuit Clerk. Among Democrats in the new Illinois 13th District, Tim Johnson's biennial punching bag David Gill beat reasonably attractive alternative Matt Goetten. Municipal elections and primaries yield such a tiny turnout, and so few ideas, that its hard to view them as anything more than a day outing for seniors. Old people didn't just vote for names they recognized; they voted for themselves. 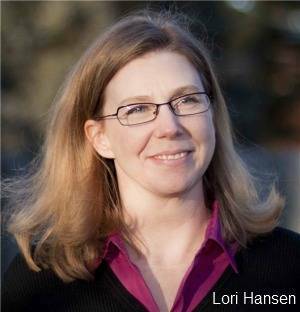 Barb Wysocki, a pensioner on the verge of her 8th decade, beat computer-literate Lori Hansen by 16 votes. Thus, Wysocki is now the Democrats' choice for Champaign County Circuit Clerk. It's a clerical job — as if the title didn't give that away — that requires knowledge of systems information, rather than political ideology, but nevermind. Champaign County is far from alone in its tendency to elect partisan political, rather than qualified people. Wysocki didn't even have a campaign website. Ask the Google about her, and you'll learn that she's a 25-year resident of Downers Grove. There's also a charming rant at The Sandwich Life that complains about Barb Wysocki's non-presence on the web. But hey, you can't argue with success. Somehow, the elderly of Champaign County managed to remember her name, and — despite their tremor — fill in the oval. At least Wysocki didn't use the campaign as a platform for promoting the 60s civil rights movement. That was Evelyn Underwood, also teetering on the verge of an 8th decade. Her first Google hit bolds the words "Evelyn Underwood, practical mysticism." Yep, she's a minister. That title won her an impressive number of votes from people who evidently believe that ... well, I shouldn't make assumptions. It's probably enough to say "people who believe." But administering legal records, processing information in real time, facilitating searchable documents — these tasks are science-based. In related news, Ralph Langenheim, who was present for the signing of the Declaration of Independence, won re-election to a 70th term on the Champaign County Board. I actually like Ralph. I tend to revere people who are active and sharp at 90 years of age. People with historical experience are an asset to our democratic process, but only if they can remember the past, and what worked, and what didn't work. 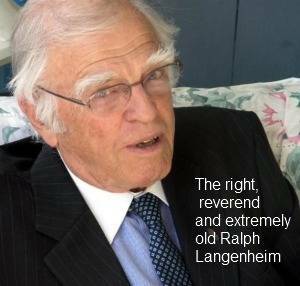 I also admire Ralph because he's a curmudgeon, as am I. Still pushin' the boundaries at 90. Gotta admire that, in theory.